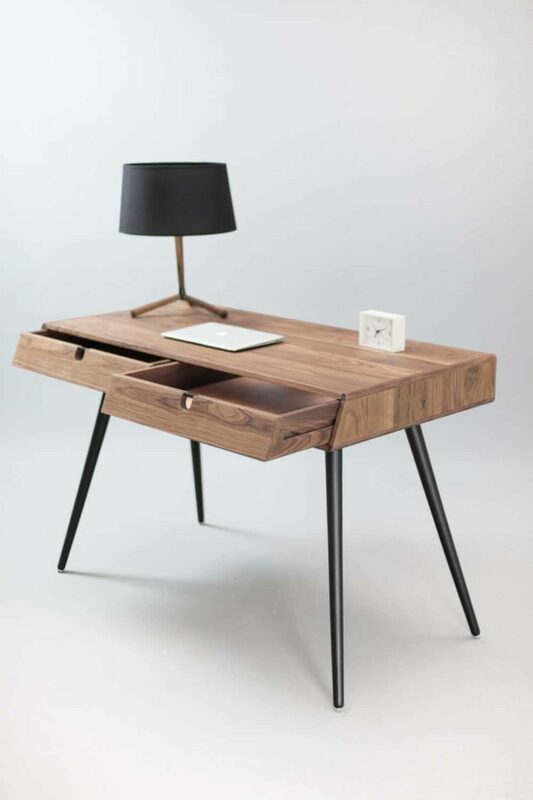 This desk table is so stylish in its simplicity. It features tapered legs and two/three drawers with carved round-outs for a sleek, hardware-less look. Handcrafted from solid wood with stunning grains, this piece features beautiful craftsmanship and superior joinery to last forever. Handmade in Spain. A matte acrylic varnish is applied to the wood, leaving the pore open and applying natural wood oil to protect.